Hi and welcome, everyone! Lisa here from In The Crafting Cave with Tuesday's Tips/Tutorials. 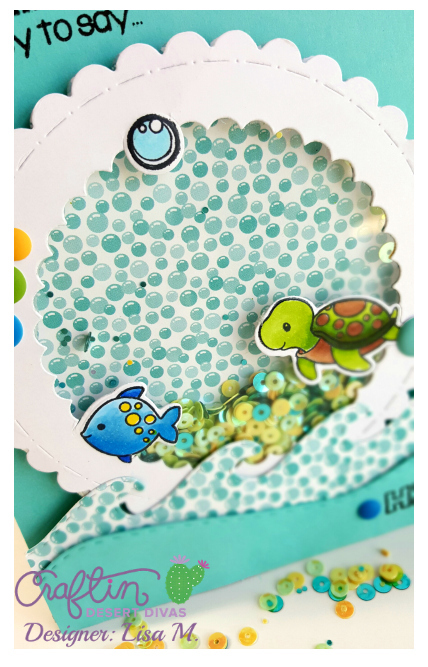 I have a fun project to share with partial die-cutting and a shaker card using the adorable Under The Sea Stamp and Die Bundle. Who says the top of the card has to be straight? 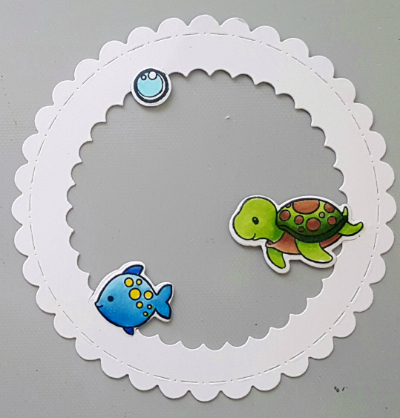 1.Using the Stitched In Circle Die cut the largest scalloped circle. 2. 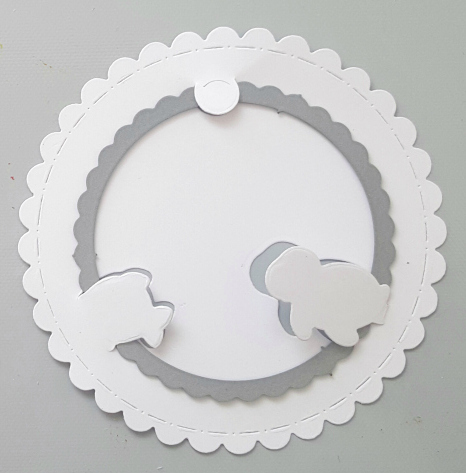 Using the smallest scalloped Stitched In Circle Die center and lightly make a few marks around the outer edge, move die-cut to the side for now. 3. 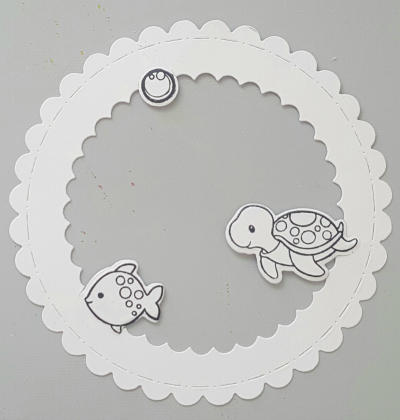 Decide how you want to arrange the die-cuts. Easy so far, right? 4. 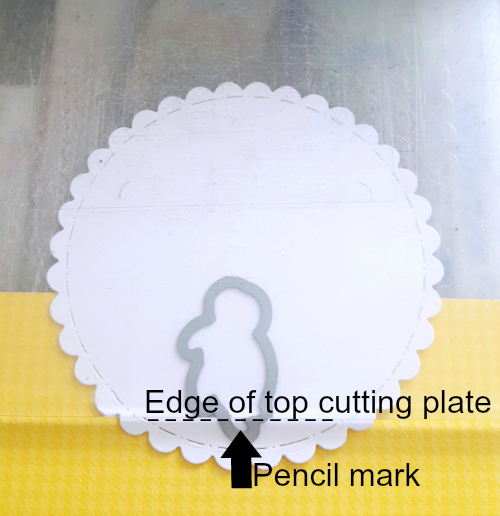 Position the edge of the die slightly over your pencil mark. 5. 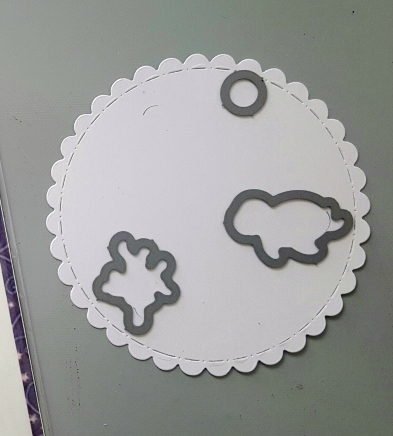 Place top cutting plate over the die and line it up with pencil mark and run through the machine. Remember you don't want to cut the whole die. 6. 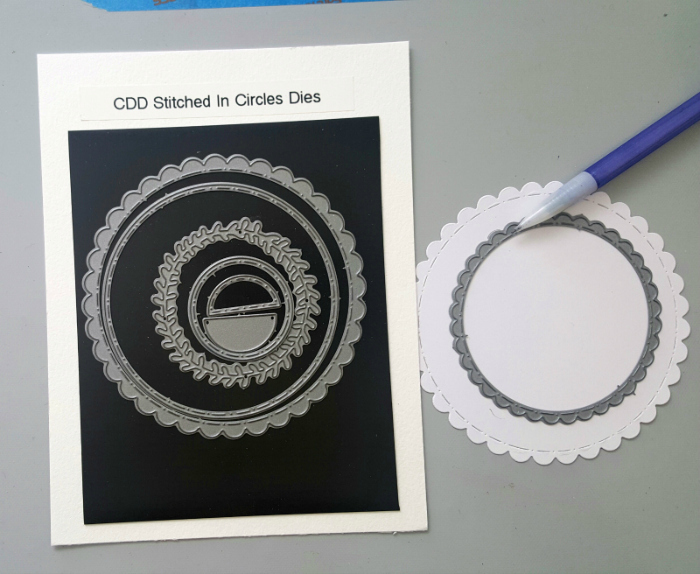 Now you have to die cut the smallest scalloped Stitched In Circle Die to create the frame. This is very important, be sure the die is UNDER the partial cuts or you will cut through them. All that work for nothing, what? 9. Create shaker. 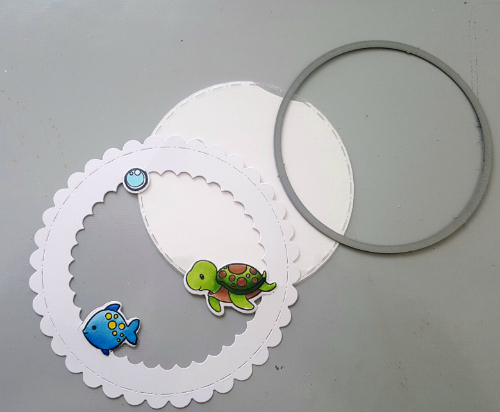 Cut acetate using the largest straight edge Stitched In Circle Die and adhere to the back of the frame. Using largest scalloped Stitched In Circle Die cut patterned paper, from the Anchors Aweigh 6 x 6 Paper Pad, add 3D Foam on the backside of acetate, add sequins, and adhere to die-cut patterned paper making sure to seal tightly. White cardstock for the card base cut at 4.25" x 5.5", layered with patterned paper and turquoise cardstock die-cut with Outdoor Landscape Dies. Join me at In The Crafting Cave with Lisa for all the details. One of the cutest little shakers I've ever seen, love!!! Thank you for the tutorial. Love your idea . So beautiful card! !